Examination of a proxy statement filed with the US Securities and Exchange Commission by Authentec, linked to Apple’s recent bid to acquire the firm for US$356m, has led to renewed speculation that the next iPhone will include an NFC-enabled version of the Apple Passbook mobile wallet app announced in June. A detailed analysis of the filing produced by The Next Web indicates that the iPhone maker first began discussions with Authentec late in 2011 and originally planned to license the company’s new technology. 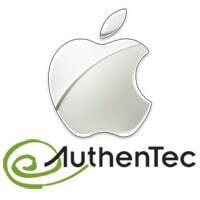 In May, however, when Authentec was preparing to launch its latest fingerprint reader, which is specifically designed to protect access to NFC mobile wallets, discussions switched from licensing to outright acquisition — and Apple pressed Authentec for a quick completion. No date for the launch of iPhone 5 has yet been announced by Apple, but most observers now expect it to be unveiled on 12 September.